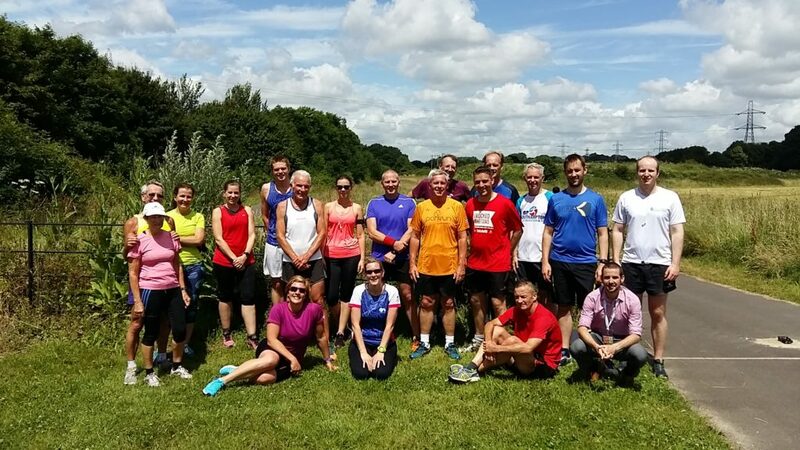 This month’s handicap was a Guess Your Time event where runners weren’t allowed to have sight of their watch or device (we provided tape to each participant to cover up their screen before they started) thus constituting a ‘naked’ run. The last time we did a Guess Your Time handicap was in January this year where Mick was able to guess within 1 second of his finish time. It was a great turnout of 19 people with some extremely close guesses. We also welcomed first timers Tim and Steve to the monthly handicap time trial. Results are below. We had 5 people guessing within 5 seconds of their guess (highlighted in yellow) which is amazing. Not only did Claire guess within 1 second of her time but she clocked a new personal best as well. Claire received a box of Terry’s Chocolate Orange for getting the closest guess. 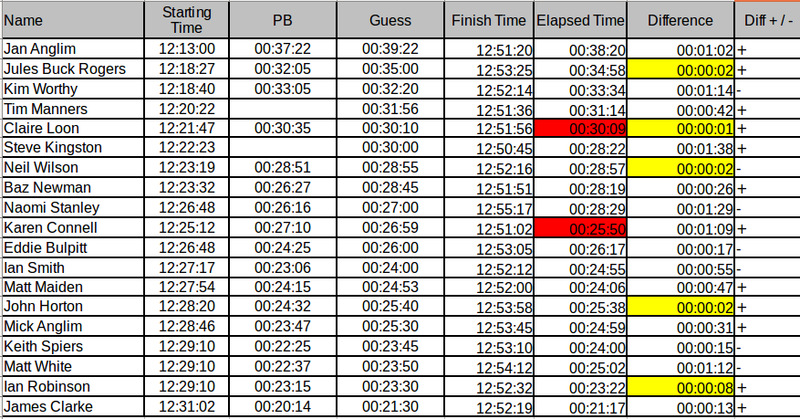 Well done to Karen who also recorded a new personal best hot off her new 10k PB at the Lordshill 10k this past Sunday. Baz’s dedication to taking the current consecutive attendances record continues unabated and he has participated in every event since 25th September last year, a run of 10 events. The all time record is held by Mark Aston who managed 12 consecutive from August 14 to July 15. As always, huge thanks to Mark Aston and Robert for doing the starting and timing, especially difficult on a guess your time event. Volunteers are always welcome, so if you would like to help at a future event just let me know.